The Albanian coastline is one of the most beautiful and unique coastlines in the region of Western Balkans. Its infrastructure being developed only during the recent years, its marvelous beaches went through a very fast and uncontrolled development. Along with many positive aspects of this aperture, the breathtaking landscapes are getting seriously polluted by unconscious and irresponsible tourists, who do not respect this beautiful and virgin environment. 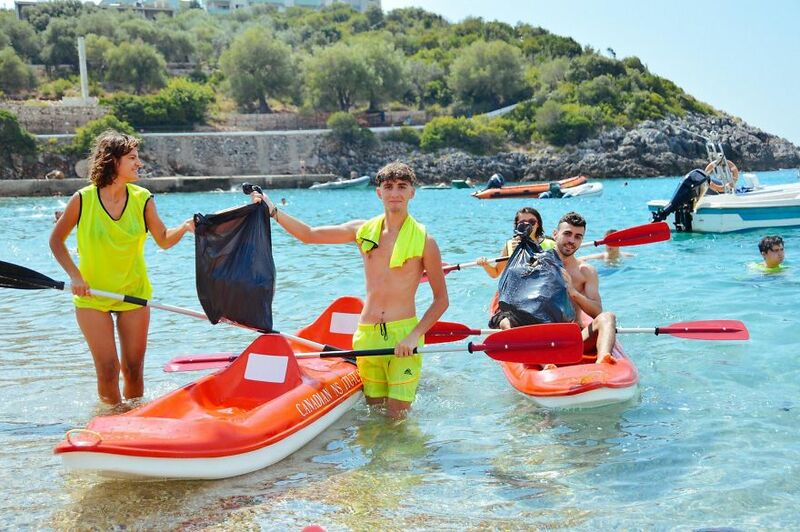 With the end of the summer season approaching, Ecovolis (the bike-sharing system of Albania) organised “Blue School”, the first Academy of Environmental Activists, in Albania. 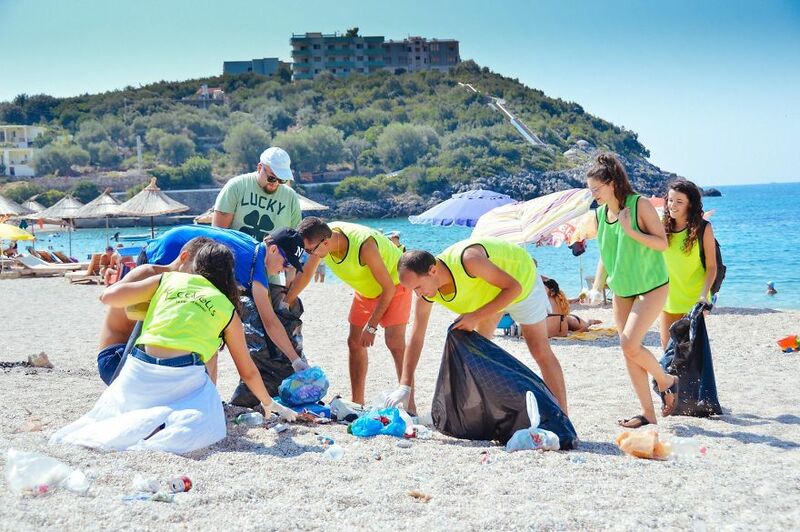 200 young and motivated Albanian students gathered at Jal Camp, and organised a massive cleaning of the beaches. 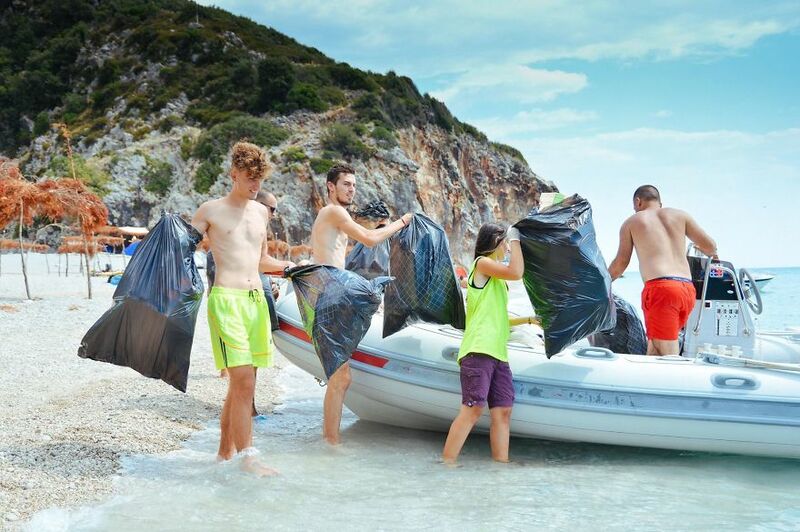 Only in two days, they succeeded to clean more than 3 tons of rubbish polluting the Gjipe Canyon and beaches around Jal, as well as almost 1 ton of rubbish underwater. 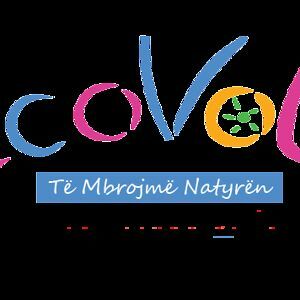 The underwater action was lead by Ened Mato, creator of Ecovolis, also a well known diver and environmental Albanian activist. It took only 2 days of hard work, to give these landscapes the beauty and purity nature has offered to them. 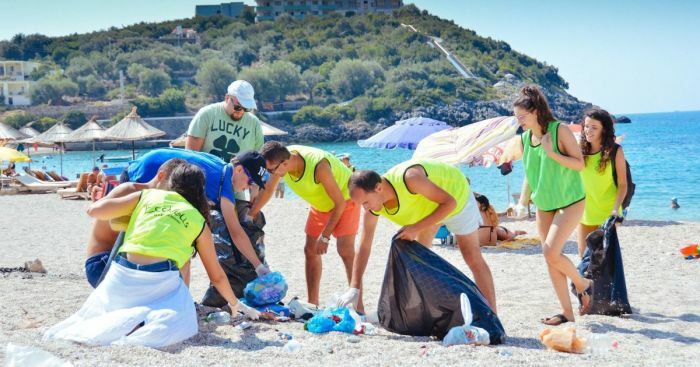 The action will continue in other beaches, while next year’s operations will spread along the entire Albanian coastline, before the launch of Summer Season 2017. Great achievement, yet unfortunately a drop in the bucket (or a drop in the ocean, as they say). While I believe that recycling and treatment of hazardous waste on land has progressed a lot, the polution of the oceans could be a problem that we will face for many decades to come. Alas. Therefore, I guess the bigger impact than actually collecting the waste, will be the awareness that such action can create. Thus: thumbs up!